North-east monsoon, responsible for rains in November and December, has been especially intense this year. In Chennai, for example, rainfall in November (so far) has been more than double the historical monthly average. Rainfall in Kerala, Karnataka and Andhra Pradesh has also been significantly higher than the past monthly average. While in Kerala, the total rainfall has exceeded the historical average by more than 100 per cent in the last week, an increase of 60 per cent has been seen in Karnataka, with similar increases in major districts of Andhra Pradesh. The rainfall event has further been intensified due to concentration of rains in short time periods. 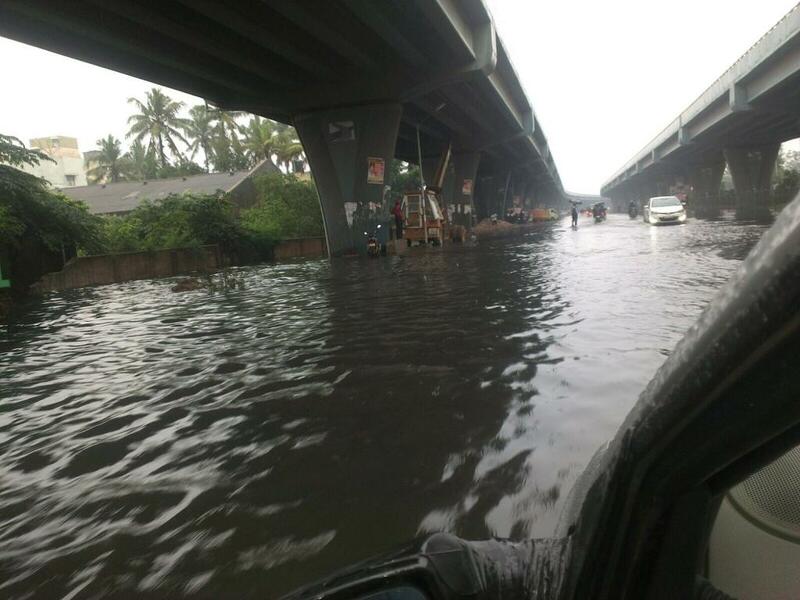 For instance, Nellore (in Andhra Pradesh) received 106 mm of rain in a span of 24 hours, on Tuesday. Similarly, Chennai received 248 mm of rainfall on Sunday, November 15, leading to many instances of inland flooding and corresponding economic losses. The rains have led to significant loss of life and property in these states. The government of Tamil Nadu has already declared a relief package amounting to Rs 500 crore for damage caused by these rains. According to recent weather reports from India Meteorological Department (IMD), the rains are likely to continue for next few days. Given this indication, perhaps it would be prudent for state and Central governments to make arrangements to deal with the impacts of these heavy rains. Additionally, the states that are more vulnerable to these events might have to think about long-term infrastructural and institutional arrangements. Evidence shows that these events are becoming more frequent and intense as a result of climate change. According to the Fifth Assessment Report of the Inter-governmental Panel on Climate Change (IPCC), frequency and intensity of such unseasonal and extreme weather events will increase further in coming decades. India is among the most vulnerable countries to the impacts of climate change, while developed countries have the highest contributions to the global greenhouse gas emissions. Perhaps, the recent events in southern India will motivate the Indian government to fight hard for an equitable and ambitious deal at the forthcoming Paris climate deal. Without studying historical data, simply making statements will give false alarm -- in fact I presented the annual march of SWM & NEM for the Coastal Andhra met sub-division. Before quoting IPCC reports, please see the data, you can get the reality of norttheast monsoon rainfall patterns in the east coast.